Working on a film-set is one of the most time-intensive occupations on the planet. 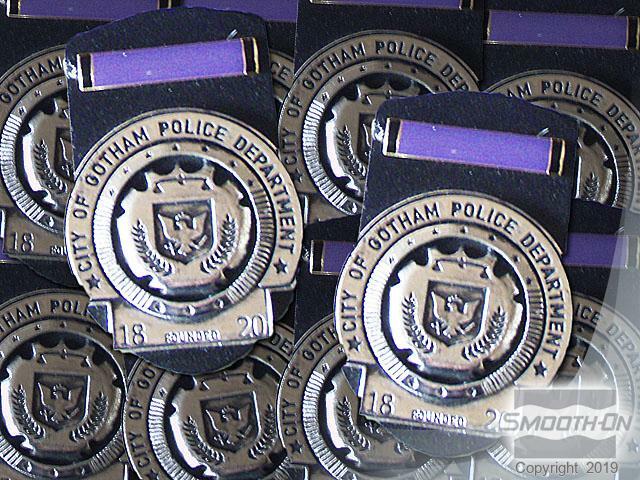 During the filming of 'The Dark Knight', 700 police badges were needed...and they needed to be done FAST! 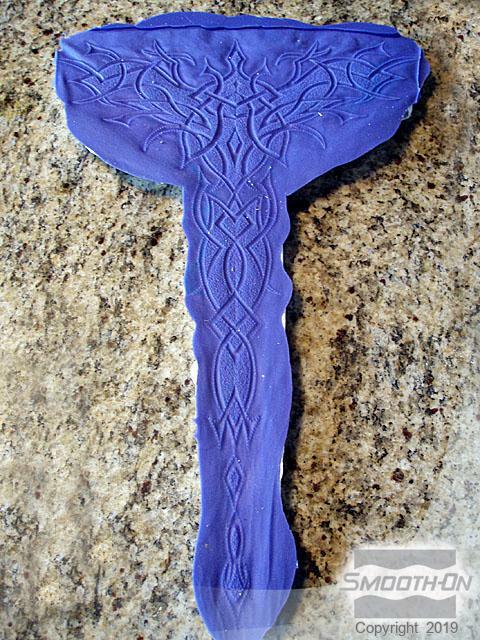 Chip Williams from Bad Dog Creations (Chicago, IL) prop fabricators knew just the material for hyper-fast turnaround long-lasting molds...Body Double® silicone. 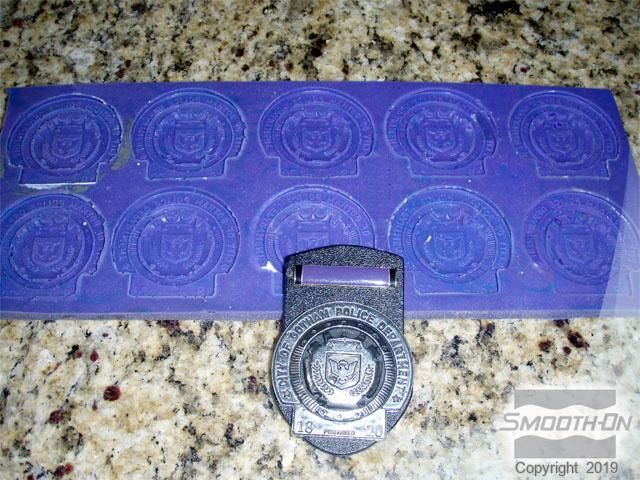 Body Double® Standard Set silicone (20 minute cure time) was used to make 'gang molds' of the badges, which were then cast in Smooth-Cast 300® fast setting resin (15 minute cure time). Mission accomplished...all of 'Gotham's Finest' were outfitted with the proper credentials, and Bad Dog added another success to it's long list of accomplishments. 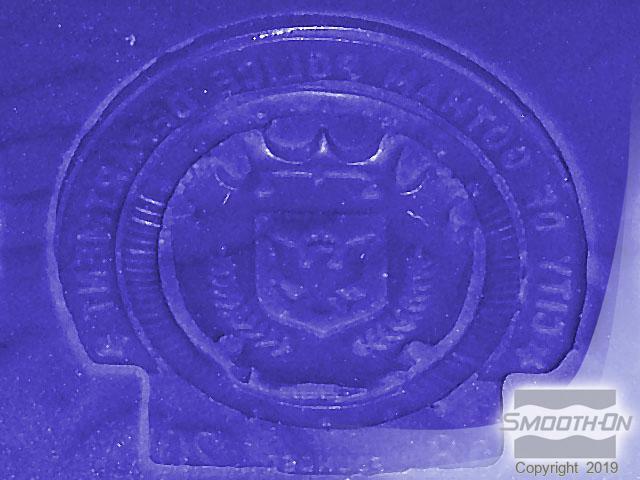 Body Double® silicone 'gang mold' with badge casting. The Body Double® captured every detail of the original. 700 badges were quickly created, thanks to Body Double®'s versatility and durability. 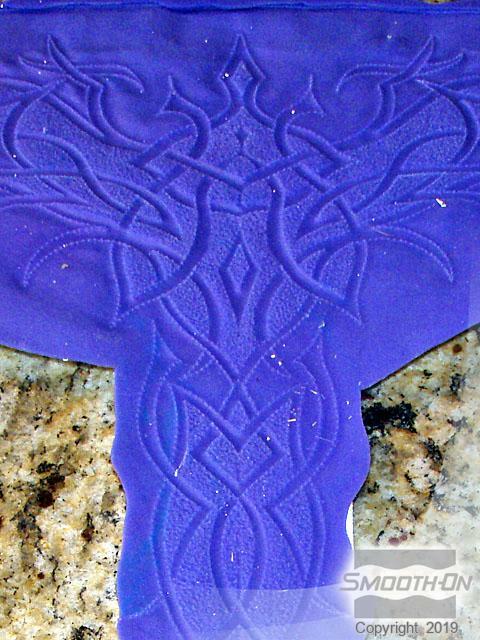 Bad Dog Creations used Body Double® silicone to capture this leather jacket detail.